12 | October | 2011 | Based on truth (and lies). 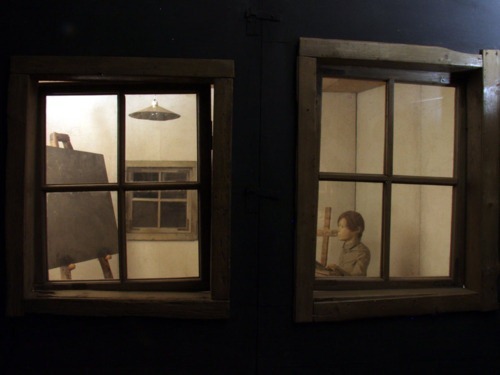 Tadeusz Kantor (6 April 1915 – 8 December 1990) was a Polish painter, assemblage artist, set designer and theatre director. Kantor is renowned for his revolutionary theatrical performances in Poland and abroad. Born in Wielopole Skrzyńskie, Galicia (then in Austria-Hungary), Kantor graduated from the Cracow Academy in 1939. During the Nazi occupation of Poland, he founded the Independent Theatre, and served as a professor at the Academy of Fine Arts in Kraków as well as a director of experimental theatre in Kraków from 1942 to 1944. 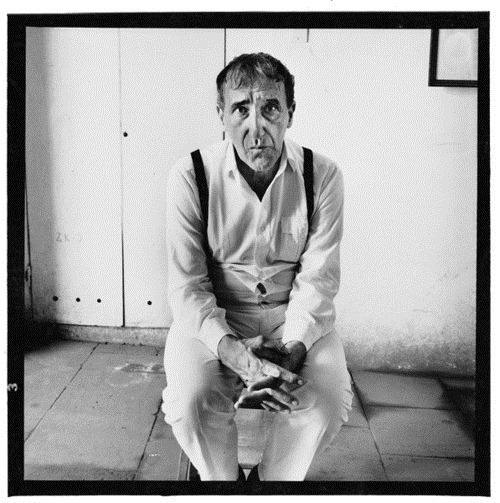 After the war, he became known for his avant-garde work in stage design including designs for Saint Joan (1956) and Measure for Measure (1956). Specific examples of such changes to standard theatre were stages that extended out into the audience, and the use of mannequins as real-life actors. Disenchanted with the growing institutionalization of avant-garde, in 1955 he with a group of visual artists formed a new theatre ensemble called Cricot 2. In the 1960s, Cricot 2 gave performances in many theatres in Poland and abroad, gaining recognition for their stage happenings. His interest was mainly with the absurdists and Polish writer and playwright Stanisław Ignacy Witkiewicz (also known as “Witkacy”). Stage productions of Witkacy’s plays The Cuttlefish (1956) and The Water Hen (1969) were regarded as his best achievements during this time. A 1972 performance of The Water Hen was described as “the least-publicised, most talked-about event at the Edinburgh festival”. 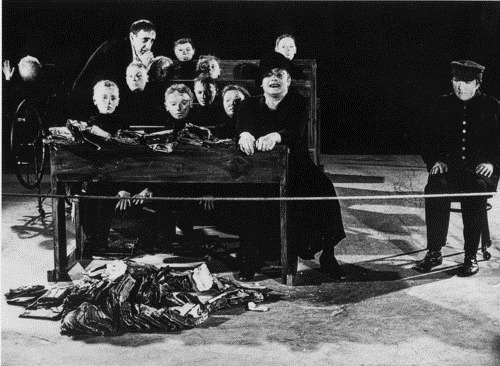 Dead Class (1975) was the most famous of his theatre pieces of the 1970s. 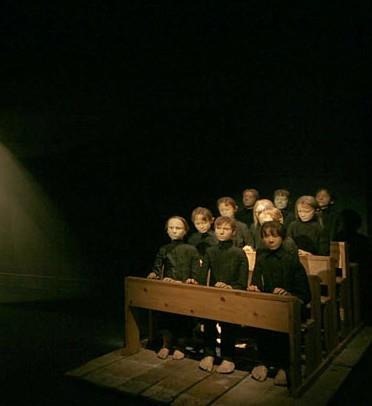 In the play, Kantor himself played the role of a teacher who presided over a class of apparently dead characters who are confronted by mannequins which represented their younger selves. He had begun experimenting with the juxtaposition of mannequins and live actors in the 1950s. His later works of the 1980s were very personal reflections. As in Dead Class, he would sometimes represent himself on stage. In the 1990s, his works became well known in the United States due to presentations at Ellen Stewart’s La MaMa Experimental Theater Club. Throughout his life, Kantor had an interesting and unique relationship with Jewish culture, despite being a nominal Catholic and having a father with anti-Semitic tendencies, Kantor incorporated many elements of what was known as “Jewish theatre” into his works. Siegfried (Paul Richter) bathes in the blood of the dragon he has killed to become invincible, “forever safe against sword and spear”. Scene online here.